Between extreme heat and terribly drying fan systems, our skin needs some special TLC. 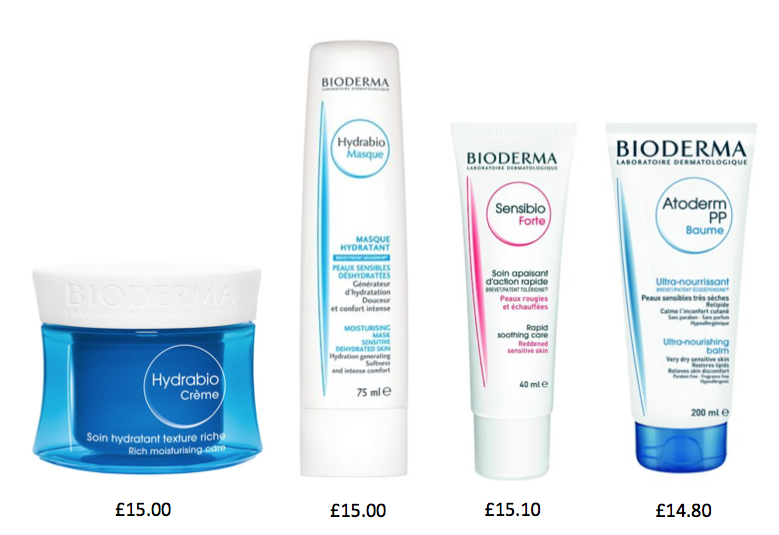 Globally renowned skincare brand Bioderma has provided us with their Hydrabio range – thoroughly hydrating and nourishing, it is the perfect treatment for dry and dehydrated skin. Should you suffer from dehydrated, dry, sensitive or very dry skin, this Bioderma product ought to be at the top of your shopping list. Their Hydrabio Crème has been extensively researched and contains specific ingredients to restore dry and dehydrated skin, thus revealing a beautiful and radiant complexion of which enjoys long-lasting moisture. The innovative Hydrabio Crème is deep care treatment, producing hydration that then trains the skin to moisturise itself once more. The complexion feels instantly soothed and the skin is restored to that of soft, supple luminosity. Bioderma has created an intensively nourishing and unique formula that is specific to the structure of the epidermal layer. Combined within Aquagénium™ are active ingredients that target deeper layers, enabling rich and effective hydration and nourishment both immediately and for long-lasting results. The outcome is reacquisition of natural hydration capabilities and the achievement of a complexion of enviable radiance. This incredible component greatly strengthens skin resistance and impermeability. Apple seed extract is an amazing ingredient as it triggers the activity of Aquaporins (these are the natural channels enabling good water flow beneath the skin). If you want smooth skin texture (who the hell doesn’t? ), this cream is a true gem product. The component removes dead skin cells and reduces the corneum stratum thickness, thus it provides effective skin-smoothing results. Hooray! This vitamin offers an array of skin-loving benefits and is therefore hugely popular as a skincare ingredient. Vitamin E provides warrior-like protection against oxidative stress and subsequent free-radical damage, aids in the repair or skin and even helps to thwart signs of premature aging. For optimal results use Bioderma Hydrabio Crème in conjunction with Hydrabio H20 and Hydrabio Lait Hydrabio Tonique.